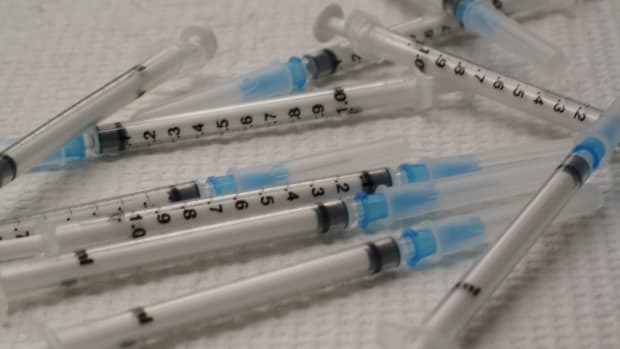 Needle exchange programs are a well-supported strategy for preventing new HIV and hepatitis C cases, but they’re verboten in many American cities and states. 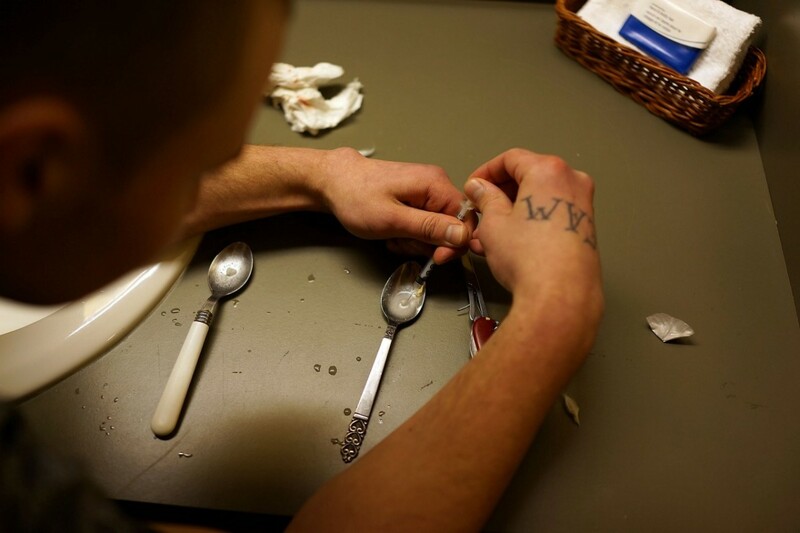 A heroin user prepares drugs to shoot intravenously. Since the peak of the AIDS epidemic in the 1980s and ’90s, the number of Americans who have contracted HIV has plummeted. But, recently, the advance against HIV/AIDS among American drug users has stalled, sparking worry among the country’s top health officials. 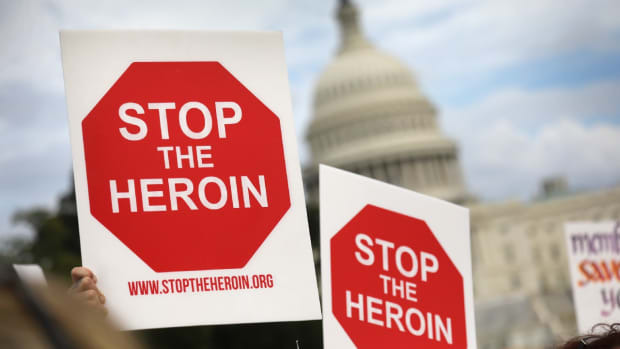 “Opiates threaten to undo the progress we’ve made preventing HIV over the past three decades,” Tom Frieden, director of the Centers for Disease Control and Prevention, said during a press call yesterday. In recent years, more Americans, especially white Americans, have started injecting opiate drugs such as heroin. If people don’t use sterile needles every time they shoot up, they’re at risk not only for HIV/AIDS, but also hepatitis B and C, the latter of which is far more common than HIV and easier to transmit via syringe. Meanwhile, one proven, essential strategy for stemming the tide — offering clean needle services — is politically unpopular in certain regions of the United States. There’s been a new wave of Americans who are injecting drugs, according to CDC data released yesterday. 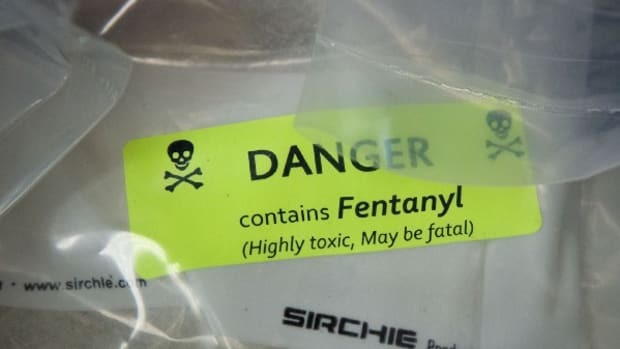 Unlike previous generations of users, they tend to be young and white, and are more likely than their black and Latino counterparts to share needles (heroin typically qualifies as their primary substance, which was also the case in prior generations). Among drug users in 22 American cities who spoke with CDC researchers during 2015, three in four said they didn’t always get their needles from sterile sources. 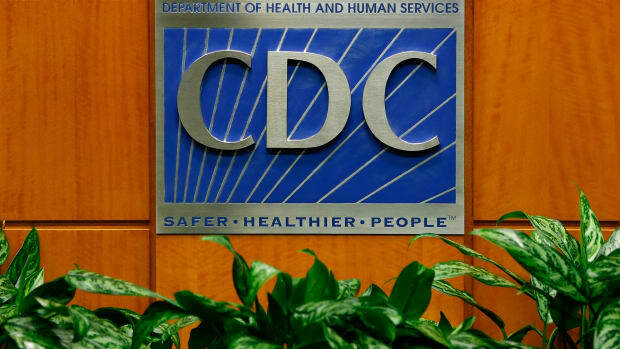 As a solution, the CDC recommends expanding access to comprehensive needle exchanges, which are clinics where people may obtain free, sterile syringes; get tested and treated for HIV and hepatitis viruses; get help with an overdose; and receive or be referred to addiction treatment, including medication-assisted therapy. Needle exchanges are widely accepted among public-health experts as an indispensable part of the fight against the spread of HIV/AIDS, and studiesshow the programs don’t encourage drug use. “The science shows syringe services programs work,” Frieden said. “They save lives and they save money,” the latter point referring to health-care spending on the infected. Nevertheless, needle exchanges remain controversial in some states and cities because of the perception that they enable illicit drug use. Only 17 states and Washington, D.C., have laws that explicitly allow needle exchanges to operate. Frieden and his colleagues played a role in reversing — or, at the very least, adjusting — Pence’s thinking. 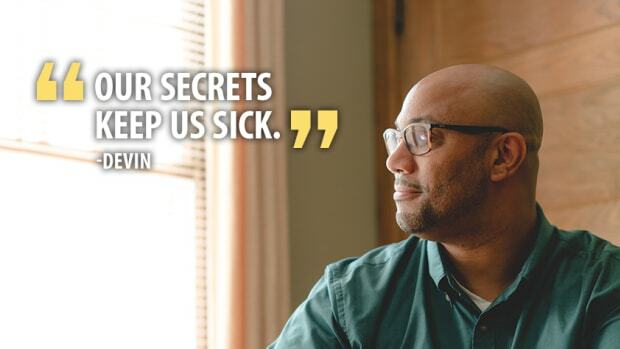 “Our team there, including [the CDC’s STD and tuberculosis prevention center director] Dr. [Jonathan] Mermin, met with Governor Pence at the time and provided information on the evidence of what works,” Frieden said. 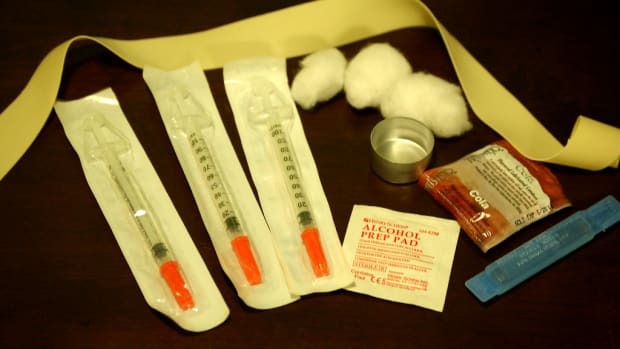 “The state of Indiana and the local community decided to implement a syringe services program there.” Mermin also participated in the press call. Although Pence eventually lifted Indiana’s statewide ban on needle exchange, his support for the programs in Indiana would seem not to be as enthusiastic as the CDC’s: He still forbade state funds from going to syringe purchases, as Politico reported.